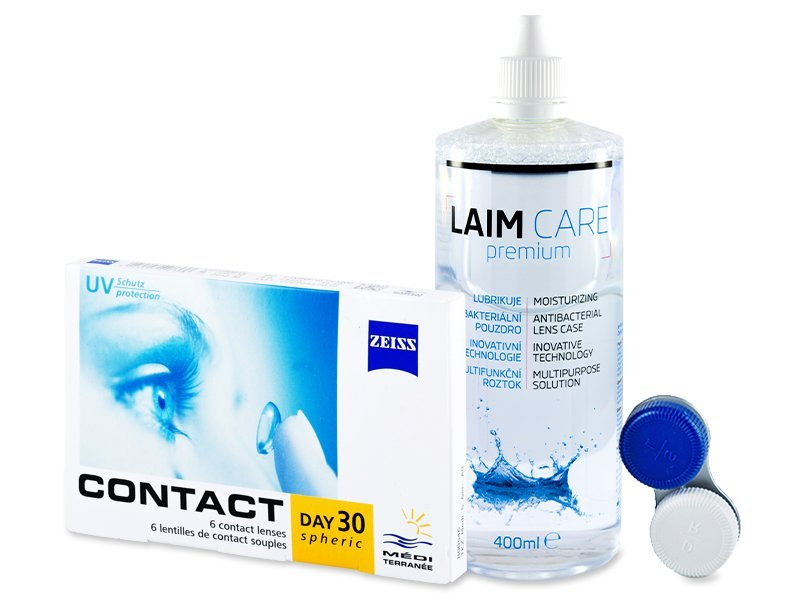 Carl Zeiss Contact Day 30 Spheric are monthly lenses with a high water content and excellent oxygen permeability for optimal comfort. This package also contains a 400 ml bottle of Laim-Care solution. Carl Zeiss Spheric monthly contacts are made with the high-quality material Ocufilconem F. Thanks to the combination of thin edges, excellent stabilisation and a wide range of power prescriptions, Carl Zeiss Contact Day 30 Spheric are suitable even for those users who were once limited to wearing glasses. The balance between water content and oxygen permeability ensures a seamless fit, even during extreme conditions, such as working at the computer or in heated or air-conditioned spaces.